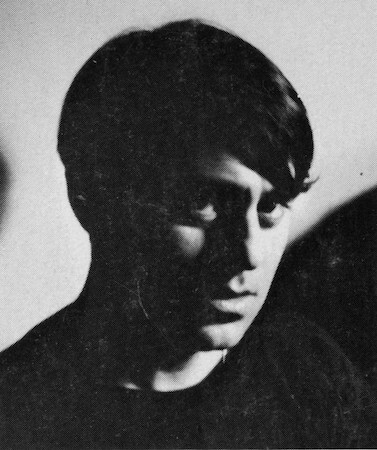 Joseph Ceravolo, 1967. Photo by Photo by Vito Giacalone. I am going to center my reading of Joseph Ceravolo’s work on The Green Lake Is Awake, (Coffee House Press, 1994), which in all its modesty is the current extant selected of Ceravolo’s work. Readers of his poetry will welcome the imminent comprehensive collected, that’s for sure. In The Green Lake Is Awake, the lovely introduction by Kenneth Koch provides a graceful, incisive, and friendly opening to a complex poetry, but more readings and responses are way past due. (I note that on the Internet one may find a selection of critical responses scattered among the blogs of devotees). And readers may supplement the experience of reading his poetry with online recordings of Ceravolo reading his work. Poet and critic Anselm Berrigan gave an impassioned talk on hearing Ceravolo’s work via just such sources at an event at SVA in spring 2011 (Poetry as Music, March 17, 2011). Ceravolo’s poetry (famously, if such a word can be used in relation to this underknown poet) is enigmatic and original, a poet’s poetry. A reader may want to retain these notions as the work is entered, to provide certain reference points, as, very quickly, the persuasively abrupt pathway of his poetics draws the reader in, on and down to a shifting, elemental “place,” which throws off and rebuffs any distancing literary considerations. “Where are you closer to everything?” the poem “Lighthouse” asks. “Wherever I am” may be read as a reply — “when everything’s so fated” (24). With a kind of panpipe trace, the poems throw out songs from where they are: positions in consciousness that cry out their existence and, quick as a lightning bug, flicker off at different pitches and dimensions of the same voice, before alighting on another plane. With all their weird otherness, these early poems also bring us into domesticity, a dominant mode and evocation in Ceravolo’s work. A set of familial elements is alluded to: male, female, boys … children among waves, sand, and lighthouse flash, “among all things / that bloom” (25). And yet, Ceravolo constructs, with the oddity of his language and the perfect confidence of his own estranged discovery, a dimension of domesticity that is unknown in previous American poetry. A possible precursor might be found in Dickinson’s poems; that is, a realm of relation in the poem that is trans-species, trans-object, and non-object. In “Dusk,” Ceravolo observes a “little moth dressed in / rose pink” (15). The poet, in love and immersed, dives in a swoop of empathy down to a nearly cellular level, as when he inquires, in the poem “White Fish In Reeds,” “Who calls you / on a sun shirt sleeves down his ecstasy / The hair you are / becoming?” (25). In “Ho Ho Ho Caribou,” a poem dedicated to the poet’s wife, Rosemary, Ceravolo employs metaphor as provocation: “Where geese sons / and pouches of daughters look at / me and say ‘I’m hungry / daddy’” (26). One experiences a projection of an interspecies empathy. The poem is made from the merging of simultaneities of consciousnesses flickering back and forth among parallel granular elements. “And I want to / be / among all things” (25). This is not — or at least not completely or only — a poetry of the Romantic tradition. It reads as aligned with Emerson’s transparent eyeball meditations, and the outcome of a long looking a la Thoreau. Yet, for all the transcendence of the effect, one wonders if most of these poems were not composed in peripheral minutes snatched during trips to the zoo, in a parking lot, a visit to Mexico, sitting at a table strewn with children, a drive through small-town New Jersey streets. Perhaps because of the poet’s situation and obligations (his muse and ground as well), wisps of ironic humor — “My eyes are full of cement” (24; so much for transparency!) — as well as sadness and resignation shoot through the work: “Although I do not / love flowers” (25); “where I love is now cool” (23); “even though I could not sleep” (24; not with these poems in you could you sleep!). Millennium Dust by Joseph Ceravolo (1982). “Ho Ho Ho Caribou” is surely one of the great, secret, experimental poems of the late twentieth century, for all its being the most anthologized of Ceravolo’s work. Arising out of the domestic and yet utterly strange in its progression, it finds its way into being. Utterances float out of a juncture of “caribou … gastrous desert … at a star” (26–27). It is not only the juxtapositions that make the poem so memorable. What compels a reader to return to its unknowability is the encounter with the inventing mind that proceeds through the bumpy terrain of its devising as it asks: “Do we flow nothing?” (28), and notes: “You passed / beyond us” (29). A French sound, if you will, rings through many of these poems, the whispered chimes of a Breton-like music and magic: “Wolves on the desert / of ice cold love, of / fireproof breasts and the breast / I took like snow” (29). Ceravolo is clearly a careful, passionate reader of modern poetry. Visual artist Rosemary Ceravolo, wife, companion, and mother of his children, has stated: “He lived and died for poetry. Nothing mattered as much to his sensibilities.” And of course it is known that he studied and hung out with the poets of the New York School and the Poetry Project scene. Although Ceravolo may seem to have the aura of an innocent — the Rousseau among the Bateau-Lavoir crowd — this is not the poetry of a naïf isolate. Ceravolo, talking back to Ashbery, writes: “When will I / decline with the lazy starve?” (cp. Ashbery’s “How much longer will I be able to inhabit the divine sepulcher / Of life, my great love?”). For all the sweet outsiderness of Joseph Ceravolo’s attitude, his poems are engrossed in the conversation. Many of his poems contain compact, Asian-seeming poems within them or attain a haiku-like brevity. A reading of that edge of his work would be fascinating. But there is another thread, which may be discerned also in the early work of poet Bernadette Mayer, and that is a Native American narrative, a kind of Black Elk Speaks accounting of events, of seasonal incidents, as in “We are the people who have / been running with / animals.” This account, spoken by an Oglala Sioux shaman, was a key source during the decades when Native American narratives would impress themselves on a poet’s awareness. “Boy-not-afraid. / Ugly boy a magic” is the last line of Ceravolo’s poem “Indian Suffering” (32). Maybe Ceravolo speaks to himself here. Perhaps the ugly boy magic, influenced by Native American thought, becomes Ceravolo’s own “creep’s / universe” (31). The peculiarity of Ceravolo’s repurposed syntax has been characterized by poet and critic David Shapiro as “cubist.” For it is Ceravolo’s use of language (as all commentators on his work have noted) that makes his poetry groundbreaking and completely at the experimental forefront of late-twentieth-century poetry. Certainly his work extends the inventions begun by Stein, the surrealists, and American modernists, but in Ceravolo flexibility of syntax and materiality of grammar are pushed even further. The radicalism of the poems never seems to insist didactically on its mode. 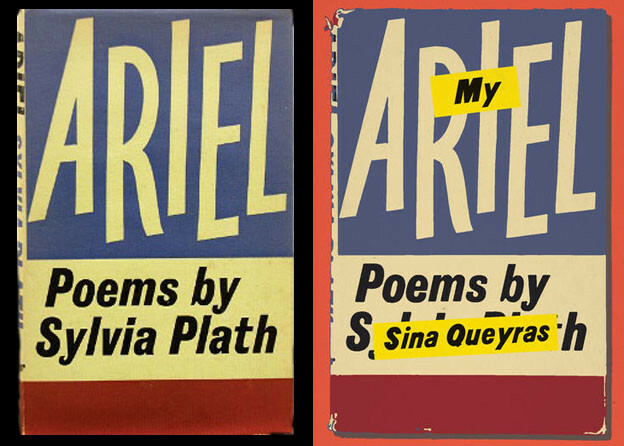 It’s more that the thought and situation of the poem’s instantaneous specificity could only come into being if language rules were subverted, remade, and fluidly reordered. Cubist yes, but also delving and compositionally contingent, one feels, upon a compressed time frame. As though these poems were written very quickly under pressure so as to inhabit fully the fleeting, highly abstract juncture of elements that calls them into existence. Yet they provoke exactly the opposite effect on readers, throwing us into an expansive ignorance of time, in which cycles of experience overlay, transgressing surfaces. “Can I escape […]?” the young swimmer or potential swimmer asks in the poem that is an underground classic, “The Wind Is Blowing West” (21). Is there a more poignant, realized communication in any poem of its time? And the deliberations of its process, whether to engage with the forces of the world or to wait, are the oceanic volumes of a few minutes or Hamlet’s eternity. There is a saintly spirituality in these poems that is inescapable. Shall we attribute it to the consciousness that comes through and leave the memory of Joseph Ceravolo free of such a burden? “I am a little dirty bug”; “will you come home / with me?” (34) seem of the same spirit as Saint Francis of Assisi’s exultant canticle. Another facet is that the dirty bug is the poetic thought ineluctably attracted to a poet’s reverie, coming home to “stay With us on the bed” (34) as though one key to Ceravolo’s enigma might be a highly receptive state of mind. Could it be proposed that in part Ceravolo’s poetry is a hallucinogenic poetry in the time-honored practice of systematic derangement of the senses (speaking of divine sepulchers)? An evanescent quality of flux propels a number of these poems. Perhaps. A throng of sensations as in a Dubuffet painting. Or the cubists, depicting a cubistic universe at an eye level away from our bodies. Ceravolo’s poems seem to be speaking from inside a like realm, zapping us inside. “To indicate is to / turn off” (43). Is this the poet’s comment on how to know this process of immersion? “In a new storage of love”: don’t the words intimate something larger than the poet’s own comprehension? As though Ceravolo heard on the wire a vibration of a new dimension, a big thing, and mixed in his intuition of the oncoming microchip universe. Whatever its provenance and mysteries, Ceravolo’s poem remains “gush some bang of ode” and “way so / nod of” (66–67) in a “Night for the carnival / rummage of humans” (70). For all their cartoony music, these poems are more formal than Ceravolo’s earlier work and engage in even more abstract language forays. Only further scholarly research will reveal the situations that led to this development in his poetics. I think that, of all the New York School poets, Joseph Ceravolo’s sister in wit and mood might be Susie Timmons in her kindred quizzicality of spirit, of succinct noticing. The Poetry Project recognized this, including her as reader in a 2010 celebration of Ceravolo’s work. My personal favorite in the selected is “Pain Songs,” in its solitude and “goulash / of darkness” (95) and “Veracruzian desolation” (96). A line such as “in deep vocabulary afternoon” (97) is such a pleasure for its mortal melancholy. It resonates with Jack Kerouac’s “early pale English furniture … sad beads of afternoon.” Surely, Ceravolo must have loved much of the works of the Beats, discerning the gold in the straw. In staying with this poem, following along its dark ramble, one feels aligned with the mood of full immersion in the universal other and ecstatic possibility that Ceravolo’s poetry realizes. 1. Joseph Ceravolo, The Green Lake Is Awake (Minneapolis: Coffee House Press, 1994), 19. 2. David Cameron, Flowers of Bad (New York: Ugly Duckling Presse, 2007). 3. See The New Old Paint (Cambridge, MA: Faux/Other, 2010).